This month the world is experiencing unprecedented heatwaves right across Northern Hemisphere countries. And this pattern is predicted to be repeated in future years. It’s already having a detrimental effect on the nuclear power industry. France’s nuclear reactors are cutting back production, with cooling water restrictions due to raised river temperatures. Finland’s reactors have had to cut back, due to sea water being too warm for cooling reactors, and might need to be shut down. That’s just one aspect of the the way in which climate change is going to kill nuclear power. Nuclear power stations must have lots of cool water. They are a liability in times of drought, and of high temperatures. Indeed, the whole industry is, with uranium mining requiring much water, too. Wildfires pose a particular threat to all nuclear facilities. Most nuclear reactors are located on the coast, or near rivers, where they can be vulnerable to flooding – and this danger increases as climate change brings sea level rise, and storm surges..
Apart from the increasing costs of nuclear construction, maintenance, and final dismantling, clean-up and waste disposal, the nuclear industry is facing more costs in increasingly desperate efforts to ward off the damage that climate change will do to it. 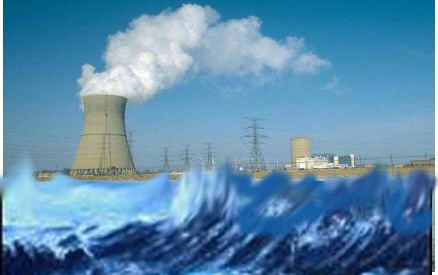 Nuclear power and sea level rise – All reactors on sea coasts endangered by sea level rise Over the next hundred years there will be significant sea rises, one meter or more, and many closed nuclear reactor sites could be flooded, including the stored nuclear waste. That could contaminate much of the coast lines for decades. Nuclear power and water shortage – Climate Change is already bringing droughts and changed rainfall patterns. Even if the vloume of rain might be the same, or greater, with the warming planet – it’s not much help if it falls in the oceans, or if it falls intermittently – in flooding torrents. As water becomes scarcer, and more expensive, nuclear power becomes a very uneconomic way to use it. Saint-Alban power stations to be curtailed “due to extreme temperature forecast,” the utility said Tuesday. On grid operator RTE’s website, EDF said environmental issues are limiting “some” nuclear production availability in the country, starting Saturday. EDF did not give details on the exact impact of the output restrictions. The two nuclear power stations have a combined capacity of over 6 GW. Environmental issues have already resulted in weekend outages at EDF’s Bugey-3 reactor on the river Rhone. Hot weather conditions previously have led to cooling water restrictions due to raised river temperatures. According to forecaster MeteoFrance, temperatures should remain above seasonal average, or around 2 degrees Celsius above norms over the weekend. Economist 25th July 2018 Japan has now amassed 47 tonnes of plutonium, enough to make 6,000 bombs. admitted that this situation is “extremely unstable”. about a competitive build-up of plutonium in Asia. Warm sea water in Finland reduces power from Loviisa nuclear plant https://www.reuters.com/article/us-finland-nuclear-fortum-oyj/warm-sea-water-in-finland-reduces-power-from-loviisa-nuclear-plant-idUSKBN1KF2COLefteris Karagiannopoulos 26 July 18 OSLO (Reuters) – Finland’s Loviisa power plant, consisting of two reactors with a combined capacity of 1 gigawatt, had to reduce power by 170 megawatts on Wednesday as the sea water that is used to cool the reactors had become too warm, operator Fortum said. Japan’s biggest utility, Tokyo Electric Power Company, has revealed plans to develop up to 7GW of new renewable energy capacity, marking a major departure from nuclear as the company strives to re-gain “the competitive advantage” in energy generation. Tepco President Tomoaki Kobayakawa told the Nikkei Asian Review on Monday that the company planned to pour tens of billions of dollars into between 6 and 7GW of renewable energy projects both in Japan and abroad, including offshore wind and hydro power. Reports suggest the focus in Japan will largely be on offshore wind, including the use of floating turbine technology that is considered to be well suited to the island nation’s relatively deep coastal waters. And in hydro, Tepco plans to develop sites in south-east Asia, alongside its overseas and domestic wind power businesses. The company reportedly hopes to have each of the three renewables components generating at least 2GW of power. ……..The new tack for Tepco suggests a major change in direction and thinking in the Japanese electricity market, where a skew towards nuclear and “baseload” generation has roughly mirrored Australia’s attachment to coal. As a 2016 Greenpeace Japan report noted, the nation’s nuclear utilities have had a history of “(lobbying) hard for the right to block access to the grid for renewable power plants” whenever they deemed it necessary to preserve grid stability. They argued, said Greenpeace Japan, the all-too familiar line that the fluctuating output of renewables was incompatible with the output of nuclear reactors the government was trying to restart. But this thinking appears to be shifting, and not just among power companies. A separate report last week in the Nikkei Asian Review noted that renewable energy momentum was also building in Japan’s corporate and industrial sectors, boosted by the liberalisation of the nation’s energy market in 2016. Uranium Leaked Through Floor of South Carolina Westinghouse Nuclear Plant https://www.ecowatch.com/south-carolina-nuclear-plant-leak-2590122072.html 26 July 18 A nuclear plant in Richmond County, South Carolina with a history of contaminating groundwater has leaked radioactive uranium into the soil below the plant, The State reported Tuesday. The DHEC said they were still testing the groundwater on the site to see if it was contaminated, but said the plant itself was far enough away from public drinking water that it shouldn’t cause a problem. DHEC spokesperson Cristi Moore said the agency would consider the senator’s request for a meeting. This isn’t the first time safety concerns have surrounded the Westinghouse plant. Part of the plant had to shut down two years ago because of uranium found accumulating in an air pollutiondevice, The Associated Press reported. It was also cited by the federal government this year for failing to plan adequately for a potential radiation burst. Stop Penly 24th July 2018 , Creusot, the scandal continues and concerns a growing number of components. The verification of all the manufacturing files of these components reveals 1,775 anomalies and 449 non-compliances on the equipment of 46 of its operating nuclear reactors. With 94 anomalies and 19 nonconformities for 34 parts manufactured at Le Creusot, reactor 3 Bugey (Ain) seems to be the most affected. Study: US Unlikely To See New Nuclear Power Anytime Soon, WABE MOLLY SAMUEL • JUL 25, 2018 Nuclear power doesn’t have much of a future in the U.S., according to a recent paperthat says the country is unlikely to see many new reactors in coming decades, unless there are major policy changes. A fifth of the nation’s electricity comes from nuclear power, but the number of plants is shrinking. Some have already closed, and others are scheduled to. Low natural gas prices have made building new nuclear reactors less competitive, and renewable energy is getting more competitive………..The findings in the paper weren’t a surprise to Sara Barczak, regional advocacy director with the Southern Alliance for Clean Energy, a group that has been critical of the nuclear expansion at Plant Vogtle in Georgia. Critics argue it’s a bad idea. Here’s why. Congress is preparing to fund development of the W76-2, to a tune of $65 million. The process won’t involve building any new weapons–instead the government will convert existing W76-1 warheads into low yield versions. Meanwhile, the controversy as to whether the weapons are needed and ultimately dangerous to U.S. national security rages on. The developer of Britain’s first nuclear power station in more than three decades has approached 12 pension funds about helping finance a sister plant on the other side of the country. Electricite de France SA is working on ways to pay for its Sizewell C project in East Anglia that will make it cheaper than the Hinkley Point C nuclear plant it’s building on the coast of Southwest England. Hinkley has been a lightning rod for controversy since the government pledged to pay 92.50 pounds ($122) a megawatt-hour for its power, more than 60 percent more than the latest offshore wind farms……..
Government outlines public liability at Wylfa nuclear plant https://www.newcivilengineer.com/latest/government-outlines-public-liability-at-wylfa-nuclear-plant/10033570.article 26 JULY, 2018 BY JESS CLARK Government has outlined public liability in the event of an accident at Wylfa nuclear power station, amid concerns that taxpayers will be left to pick up the bill. Nuclear operators must have insurance, energy and clean growth minister Claire Perry told parliament, and any costs more than €1.5bn (£1.33bn) would be “met at parliament’s discretion”. The Westminster Hall debate followed a report in the Times that claimed Japanese company Hitachi would not pay for any accidents at the proposed plant in Anglesey, north Wales. Energy and clean growth minister Claire Perry said: “There were some questions about liability in the event of an accident. I am happy to say that the last significant incident was the Windscale fire in 1957, and we are light years away from that plant in terms of nuclear operating technology and the safety regime that we operate. “The Nuclear Installations Act 1965 makes the insurance that I mentioned a requirement, without which operators cannot operate. As the hon. Member for Southampton, Test mentioned, we also have legislation based on the Paris and Brussels conventions. 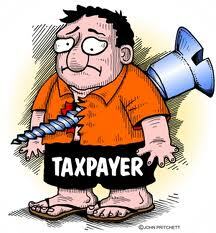 Alan Brown MP said: “It marks a departure from the “polluter pays” principle. It is critical that the UK Government do not sign up to any such crazy proposals.”The government is in “commercial negotiations” with Hitachi over the plans, and will take a £5bn stake in the project.